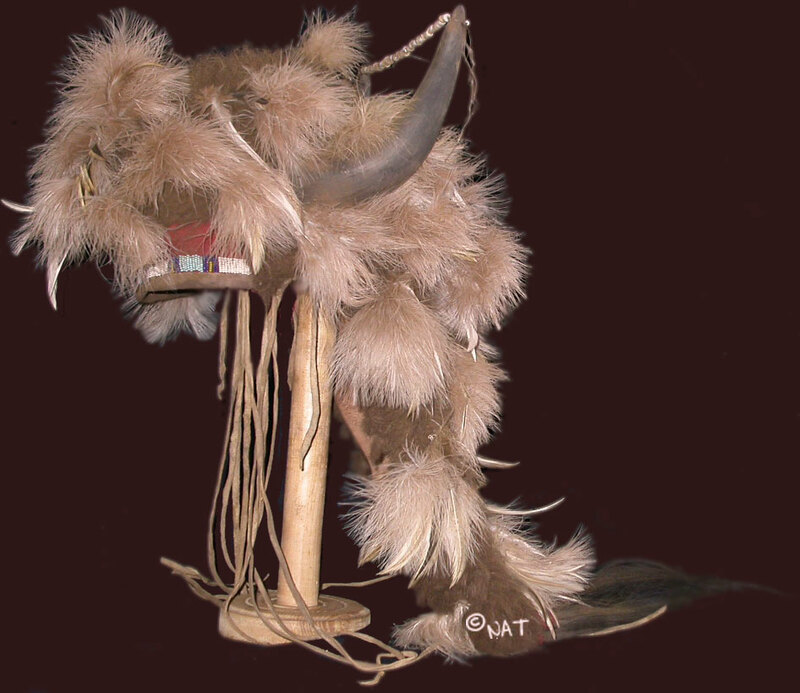 polished female buffalo horns, buffalo fur, trade cloth, ribbon, cotton calico, glass seed beads, fluffs, tin cones, deer leg sinew, clay paints, mirrors, deer skin, etc. 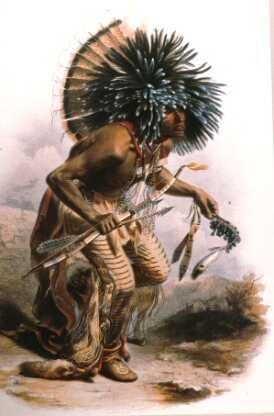 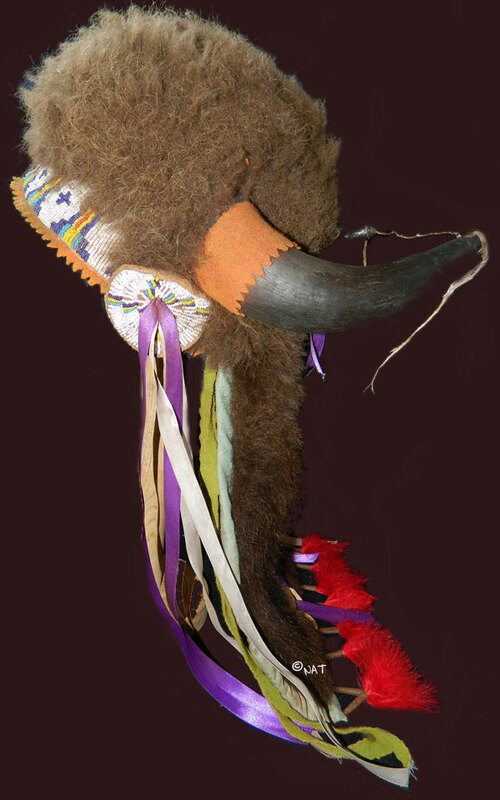 The original headdress is in the Denver Art Museum. 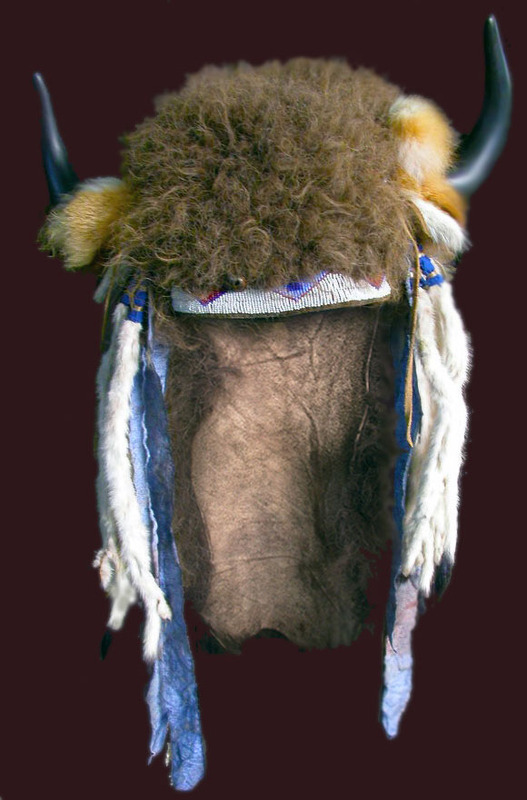 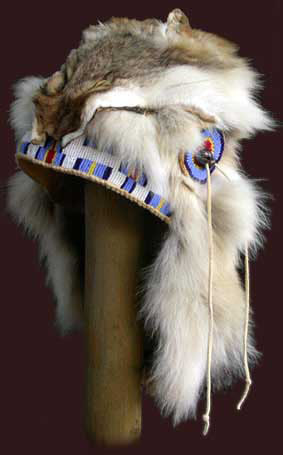 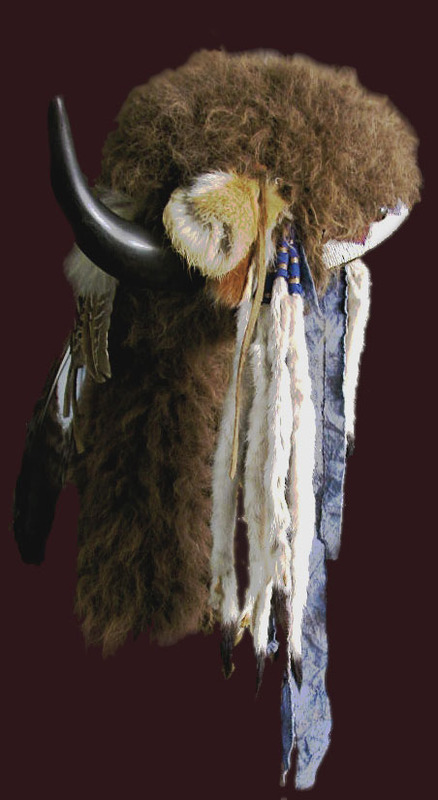 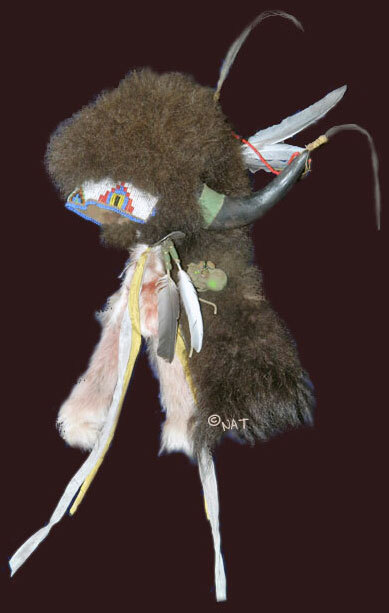 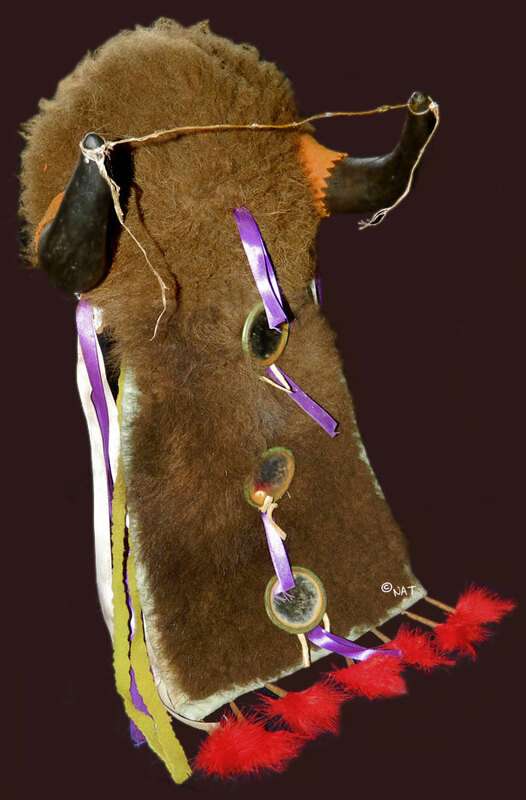 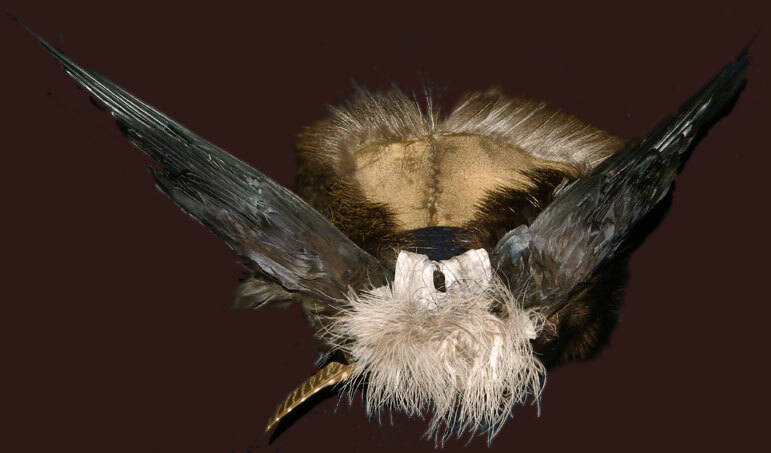 Buffalo Horn Headdress - buffalo fur, hand polished buffalo horns, calico, feather, hawk bell, lazy stitch beadwork, glass seed beads, red fox fur, ermine, etc.